One of the biggest hurdles for attorneys is a client who is short on cash. Personal injury clients often have financial burdens that leave them with no choice but to settle early or avoid a case altogether. Cash advances give them a reason to move forward but can also become expensive. A California lawsuit-funding specialist, FCA Legal Funding now offers a solution in the form of a cash advance refinance. Refinance is a term often associated with home mortgage loans. In fact, it can be applied to any type of loan, replacing the existing loan with a new one, which typically has a lower interest rate and a different term. The original loan is considered paid off once it is refinanced. A new one is created in the process, so you essentially start over with something more affordable. 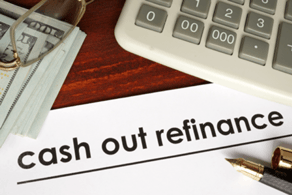 How Does a Cash Advance Refinance Work? If you have taken a prior advance with a funding company, you are required to pay down existing cash advance before you can refinance it. Extending the repayment period and getting a lower payback term aren’t the only benefits of a refinance. This mean you will be able to reduce the cost of an advance your client is already in and if you have funded the client yourself you can cash that amount out and shift the risk to FCA Legal Funding. More importantly, you may be able to also get an additional advance, meaning more settlement cash out. Nonetheless, refinancing a cash advance, or a non-recourse advance/investment, can have many advantages. Why Should a Settlement Cash Advance Be Refinanced? If your client obtained legal funding from another company or from your law firm who may have “self funded” the client but does not want to fund them anymore, we offer an option where the attorney can cash out their portion of their investment in the claim and have FCA Legal Funding take over the risk and responsibility. Although law firms should always use the expertise of companies in their core competency, as lawyers, you do everything in their power to assist your clients to put them back to whole related to an accident that was not their fault. You provide them with your expertise, knowledge, guidance and a network, which includes medical doctors, experts, and a support staff to follow up on moving the claim to a settlement. A lot of times, these accidents really cause the client who is the breadwinner or part of the family who makes sure that the family is financially sound, to not be able to work thus creating a financial burden. As pressures increase, lawyers are also forced to assist the client with advances so that rent is on time, car payments up to date to not limit client’s ability to get to their doctors, and sometime other emergencies arise forcing you to further invest in your client financially. These also increase responsibility a law firm takes on which can also eventually effect the Client Attorney relationship when you hit your limits and clients expectations continue to grow. FCA Legal Funding can alleviate and resolve most if not all issues related to assisting clients cash advance needs but more importantly can potentially cash you out on the advances you have made through the life the case through our REFINANCE CASH OUT program. We can look at cases you have funded to get back to your investment while seeing if we can add a little more for the client while you continue to pursue the best possible settlement. We can also see if we can get creative with you and your firms on other investments the law firm makes as costs towards the settlement of the case. Use our money; we’ll take the risk. Cash Advances terms with certain funding companies may accrue additional monthly or quarterly fees and increase interest repayment that can make some cash advances very expensive over time. The time and added costs can put a financial burden on the client and decision-making. Your firm may never have the opportunity to arrive at a settlement and help the client get the compensation they may be satisfied with. By refinancing the client’s original cash advance, FCA Legal Funding can avoid this problem altogether by resetting the advance to affordable terms which don’t have any additional monthly and quarterly fees. The payback schedule is restarted, resetting the original terms. The advance usually comes at a cheaper rate. Options for cash out, so the borrower has more financial flexibility. An affordable cash advance program can be a motivating factor for clients unfamiliar with the negotiation process. It gives your law firm more flexibility as well. You can have more time to fight harder to get a larger settlement amount. Otherwise, the client may accept a smaller settlement just because they can’t afford to keep going. By getting the client what they really deserve, you can give them satisfaction and a chance to live their lives with financial security. That’s why FCA Legal Funding allows clients and their lawyers to NEVER SETTLE FOR LESS. Our company provides personal injury plaintiff legal funding in California. Applying for funding is simple and approval is not affected by your credit history. Instead, we review your application and discuss the case with your attorney; once we receive all the relevant information, our underwriter determines an amount and you receive pre-settlement cash within 24 hours. You pay nothing out of pocket and there are no hidden costs; if you don’t win, there is no repayment. Personal injury lawsuits take time, and a settlement may not be reached for up to months or years. FCA Legal Funding now offers a solution in the form of settlement acceleration where clients and attorneys can dip into their future settlements. Contact us today at 310-424-5176 to learn more about obtaining pre-settlement cash or qualifying for a cash advance refinance that can make your legal funding more affordable, or apply online!